Duke Energy Corporation issued the following announcement on April 16. Duke Energy's $62 million solar rebate program – which will help North Carolina customers with the upfront cost of installing solar panels on their property – was approved this month by the North Carolina Utilities Commission (NCUC). The program is part of 2017's Competitive Energy Solutions for North Carolina law – also known as House Bill 589 – which includes new Duke Energy programs to benefit customers. See the NCUC ruling on the rebate program. Customers can start signing up for the program this summer. They can keep up with the latest developments here. "The Competitive Energy Solutions law for North Carolina will encourage solar ownership for customers while we pursue a balanced and affordable energy mix for all customers," said David Fountain, Duke Energy's North Carolina president. "It also allows Duke Energy to secure solar energy from independent facilities at a market rate – also a benefit for customers." North Carolina is second in the nation for overall solar capacity. Currently, in North Carolina, Duke Energy has more than 6,000 customers who have private solar systems – with a total capacity of just over 50 megawatts. The program expects to increase North Carolina's private solar market by 200 percent over the next five years, providing an economic boost for the state's solar installation business as well. "Duke Energy's North Carolina customers have never had a better opportunity to take control of their energy future with solar than with this rebate program. We're eager to work with those customers to take advantage of the incentive," said Jay Radcliffe, CEO of Renu Energy Solutions of Charlotte. "The federal tax credit is still in place. In nearly a decade of installing solar, now is the best time I've seen for customers to save." Under the program, residential customers will be eligible for a rebate of 60 cents per watt for solar energy systems 10 kilowatts (kW) or less. For example, a typical rooftop array of 8 kW would be eligible for a $4,800 rebate. Installed systems 10 kW or greater would be eligible for a maximum rebate of $6,000. "We structured our program to give customers as much flexibility as possible to pursue renewable options," added Fountain. "Of course, customers have to determine if solar energy fits their needs." Earlier this year, Duke Energy announced two other solar programs as a result of the law. The programs are awaiting approval from the NCUC. 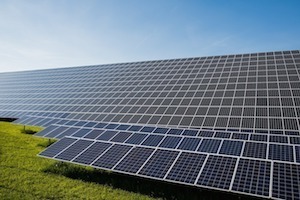 Shared Solar – Will allow customers to subscribe to the output of a nearby solar facility and provides an alternative for customers who do not want, or can't have, a solar array on their property. Green Source Advantage – Will allow large customers to secure solar power to offset the amount of power purchased from Duke Energy. This is an expanded version of a pilot program Duke Energy Carolinas provided.